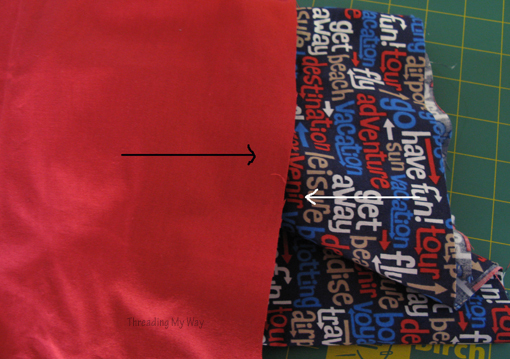 Round the bottom corners of both the outside fabric and the lining, by tracing around a plate. 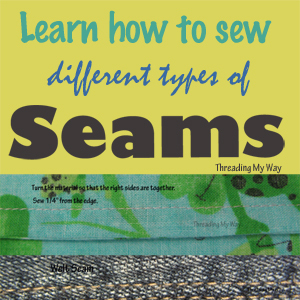 With right sides together sew each side seam, continuing around the bottom corners. Leave a gap of 3" (8cm), across the bottom edge. 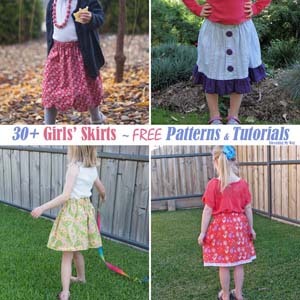 With right sides together, sew along the long sides and the curved bottom. 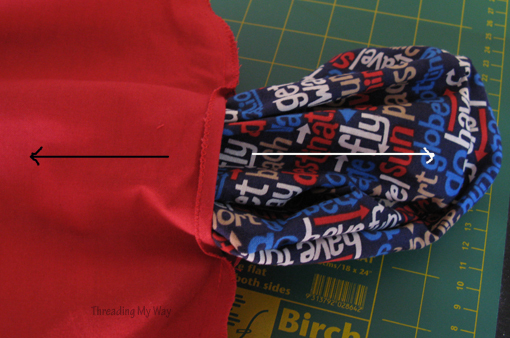 Sew the top edges of the lining and the outside of the bag. Topstitch the gap in the lining, or you can hand stitch if you would prefer. Topstitch 1/8" (3mm) from the edge, around the top of the bag. Fold in half lengthwise so the casing forms a long tube. With a safety pin, turn the casing to the right side. Repeat for the second casing. Pin the top edge of the casing 2" (5cm) from the top of the bag. Baste (hand sew) the casing and remove the pins. 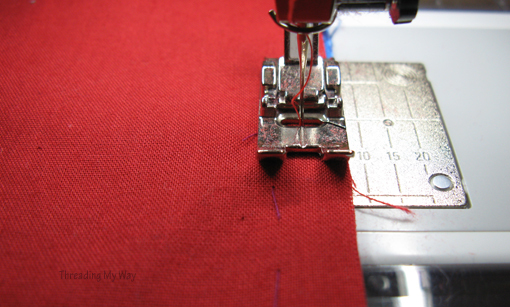 Put the bag over the small arm of the machine and stitch the casing to the bag through both the outside and the lining fabric. Sew about 1/8" (3mm) from the long sides of the casing. Leave the short ends unsewn. There should be a small gap between the casing and the side seam to allow for the cords. Open out so you can see the crease. 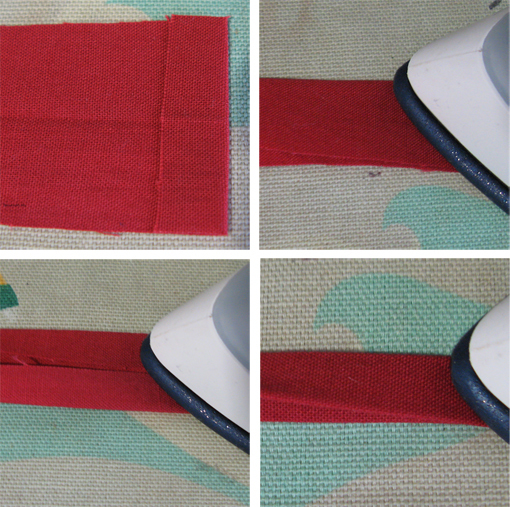 Fold each half in to meet the crease and press. Sew 1/8" (3mm) from the edges. 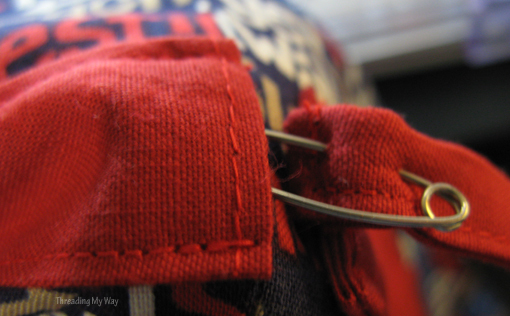 Using a safety pin, thread the first cord through the front and back casings. The cords might be a little hard to pull the first couple of times. If you find this happens, just pull and loosen a couple of times. Belated Happy Birthday, Mum! This drawstring bag matches a zippered pouch and tote I made for Mum last year. You will have noticed that I've used both imperial and metric measurements in this tutorial, as a result of the discussion after my post about inches or centimetres. 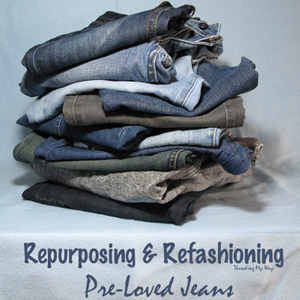 The conversions are not 100% accurate, as I've rounded up the metric measurements for ease of use. As long as you are consistent, the measurements in this tutorial are not critical, but if you'd like greater accuracy, you can use an online converter. 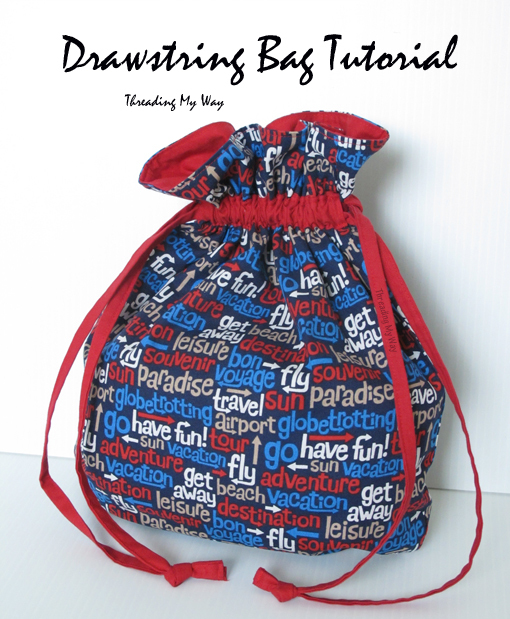 I'm linking this Drawstring Bag to our ONGOING Drawstring Bags and Fabric Baskets Link Party. Because of the drawstring cord, this bag is not suitable for children under 3 years of age. Edited to add: I originally made the measurement for the casing too narrow and so have changed the width to the measurement as it reads now at the beginning of the tutorial. (ie: It was originally 1.5", but should have been 3"). My apologies for any inconvenience this may have caused. Linda , obrigada por compartilhar o Tutorial. Great tutorial! 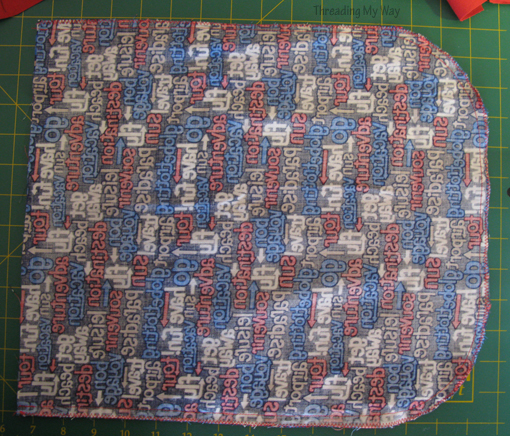 I always try to make the casing as a little channel stitched between the lining and the outer fabric. But I like your way of adding the contrast casing on the outside much better. It looks smart and the fabric is super fun. Thanks for sharing! Awesome tutorial! The bag is super cute!! Great bag and tutorial Pam! 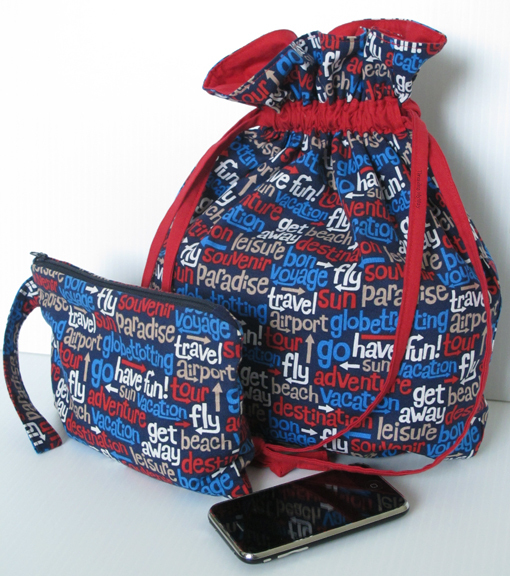 I love how you used the contrasting red for the drawstring casing! 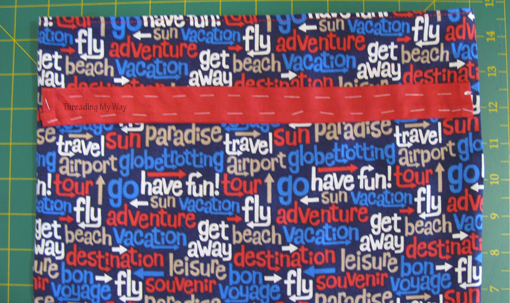 I have some of that same fabric waiting to be made into something for our next holiday!! Aww its very nice :) love the fabric print Pam.. So cute! 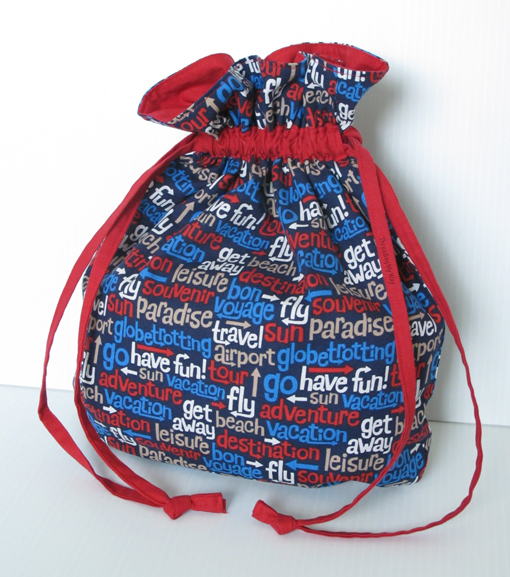 The drawstring bag would make a great gift bag. I love this bag, Pam! 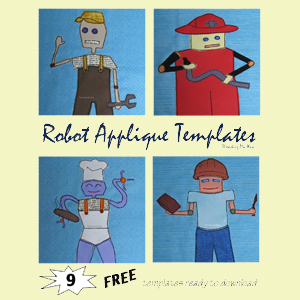 I just happened onto it at the Creative Itch Linky, and spotted it in my blog feed, too! The fabric is so much fun. Thanks for posting the tutorial, also.. hope you're having a great week so far. :) I bet your Mum is so pleased with it! Great tutorial, Pam! I like that the drawstrings come out of both sides of the bag rather than just one. 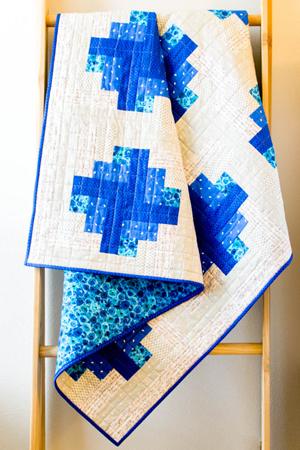 The pattern is so cute, but even better is the fabric you chose. Love it! That's cute. I made my first drawstring bag a couple weeks ago when my daughter needed a gym bag. It was a pain though because it had to be clear so I used vinyl in the middle. Way cool! Thanks for sharing at The Fun In Functional! TFS!! 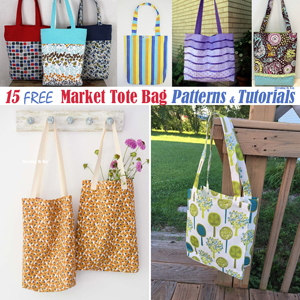 Great tote and fabric. 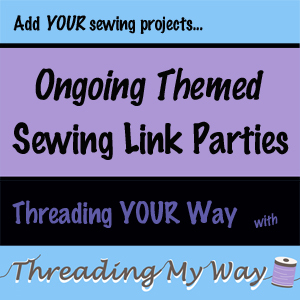 Stopping by from Chic on a Shoestring's linky party. So cute! 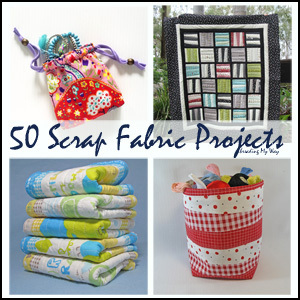 I made the same one, you can see it here....http://sew-licious.blogspot.com/2013/01/drawstring-handbag-sewing.html. Are the cutting dimensions correct for the casings? In your photograph it looks as if they are over an inch high when sewn in half. The cutting dimensions for the casing are correct for the bag in the pictures above. The casing ends up being a little under 1" (.75") when sewn and ready to be attached to the bag. You can of course make the width smaller or larger, depending on the size of the drawstrings you will be using. Saralyn, I have just realised that I had made the measurement for the casings too narrow. I have amended the measurement in the tutorial. My children's sewing class made these this week. Thanks for the tutorial. However, they seem awkward to close and don't cinch very tightly. It makes me wonder if we did it right. We have to pull the cords and pull down on the bag at the same time. Any tips? Thanks! Hi Melissa. 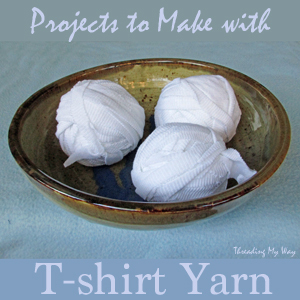 It's lovely to hear that you've made these with kids. From the tutorial... The cords might be a little hard to pull the first couple of times. If you find this happens, just pull and loosen a couple of times.. I find that once I've done this a few times, there's no problems. If the kids have sewn the casing so the stitching is not close to the edges, this would make the casing narrower and harder to pull the cords. If you find it's not satisfactory, you could substitute the material cord for a ready made round cord, which I would think would cause less friction as the cord is being pulled. 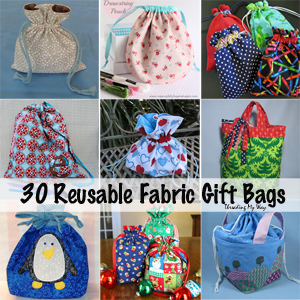 There's a lot of fabric when it's pulled closed, so it's not a tightly closing bag. Hope this helps. I couldn't find an email address to reply directly to. I have had this pinned for awhile and just tried it! I love it. I used my bias tape maker for the cord, it made it a lot easier! Oh, I'd love to see pics! I've since bought myself a bias tape maker. Aren't they great. I LOVE drawstring bags!! Really like yours, especially the rounded corners. Thanks for sharing this! Thanks so much for taking the time to stop by and leave a comment, Amy. I love how you've done the casing for the strings, I can never figure out how to do them with a bag that's lined and the strings are not at the top.